With the closing of Sixth Chamber Books (boo!) 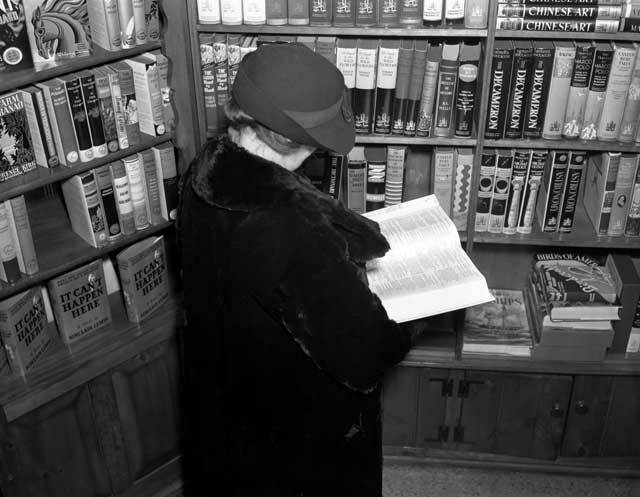 and Common Good Books being up for sale, we’ve been thinking about local bookstores lately.This photo shows a woman reading in a bookstore in February 1937. Note the copies of "It Can't Happen Here" by Sinclair Lewis on the left. This forms part of Minneapolis and St. Paul Newspaper Negative Collection in the Library.